I really enjoy writing these advice posts and it seems you guys enjoy them too. My Instagram tips post received over 900 saves on Bloglovin (thank you all so much) so I'm going to try my best to incorporate these kind of posts into my blogging schedule more often. I love sharing my advice and things I've learnt over the past three years and I know how helpful I find these posts myself. 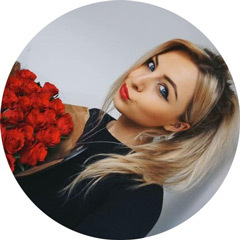 Even to this day, I love to read a blogging advice post as they always encourage me to be the best I can and develop myself and my blog further. Working with PR companies and 'free samples' is something that not many people talk about as its seen as a controversial subject. The idea that bloggers get sent 'freebies' isn't welcomed by some but at the end of the day, that's just how it is. Companies are always going to want to promote their new products and bloggers are always going to want new things to try and share on their blogs - the two go hand in hand. I often get emails from new bloggers asking how they can work with companies so I thought I'd put this post together with a few tips. I hope you enjoy! I feel like a lot of people, especially new bloggers get very consumed by free samples and feel they signify your success as a blogger. I was guilty of feeling the same when I first started and whilst it is very exciting to be gifted lovely products, it really is only a tiny part of being a blogger. The amount of effort and passion required in blogging completely outweighs any amount of freebies and if you don't enjoy what your doing, all of that effort won't be worth it for any amount of free stuff. Its important to remember that before starting a blog - if you're in it for the wrong reasons, it won't be something you can stick to. When brands release a new product, they have a certain number of samples they can send out to bloggers and press. Now if you think about how many blogs and press are out there, there definitely won't be enough samples for everyone. Even now as a blogger with over 18,000 bloglovin followers, there's plenty of things I'm not sent that other people are. That's just the way it works - when brands are researching bloggers, they might not come across yours due to the huge volume of them out there. Don't take it personally or think your blog isn't as good as other peoples just because they got sent something and you didn't. 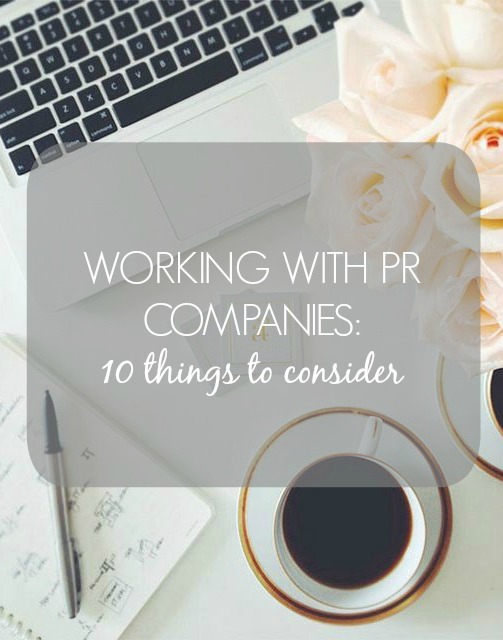 If you do see a product doing the rounds that you'd really love to try and feature on your blog, why not introduce yourself to the PR company who looks after that specific brand and let them know you'd love to work with them in the future. Its important to not go in all guns blazing and demanding free samples as that will come across rude but if you're simply introducing yourself and making them aware that you're interested in their clients, that's absolutely fine. Just make sure you have something to back up what you're saying - let them know a bit about you, your blog and your stats. For example, if you just started a blog that day and approach a company, it won't look great. Wait until you've built up a loyal readership and then get in touch. As a blogger, I often find that brands think its okay to try and take advantage of our influence by demanding a whole list of things in order for them to send you a sample. In these instances, I often say thanks but no thanks. If I'm being asked to do three blog posts, various social media posts and a giveaway, that's a lot of work and a freebie just isn't worth it in my eyes. They wouldn't get that much exposure for free in a magazine so why should we as bloggers do a lot of work for not a lot of reward. Always know your place as a blogger and never let someone take advantage of you 'just because your a blogger'. Blogs are a large part of the media these days and can often have more influence than traditional media so if they aren't willing to play fair, its their loss, not yours. Following on from the point above, its important to set some guidelines when agreeing to review something on your blog. A lot of PR companies will send an item and expect you to review it within days but that's just not how it works. For example, I also have a full time job and a flat to maintain so blogging isn't always my number one priority. Working full time also means I can only take photographs on the weekends so if I receive a product on a Monday, it won't be photographed until the Saturday and I then need to give it a good trial before it even makes its way onto my blog, especially skincare products. This means it can take up to 3/4 weeks for me to blog about something I'm sent so I always tell them that before they send the product - that way I don't feel rushed to post within a few days. I feel its very important to be clear about the way you work or you will only end up getting stressed out and trying to do too much at once. Bloggers have lives to lead as well as a blog and I do feel some PR companies forget that. Be fair but also firm I say! Its very tempting when you first start blogging to accept every freebie you get offered as it can be a bit of a novelty. However, this is a bad move because if its something you're not all that interested in, you're not likely to feel inspired to write about it and that will show in your review. Instead, the best thing to do is to only accept products you have a genuine interest in and feel your readers would be interested in too. I get a lot of emails offering me free products and turn down a good 50% of them as they don't suit my personal taste. If someone has been kind enough to send you something for free, be sure to say thank you and show your appreciation. I always say thank you for any gifts I receive in the post whether that's by sending an email to the person who sent it or tweeting / mentioning the brand on Instagram. I think this is common courtesy and good manners. As someone who actually sends samples out to bloggers (I work for a fashion brand), it's always so lovely to receive an email being thanked for the sample and it makes me much more likely to work with those people again. If you've posted about a product you were sent, tweet the link and tag the brand as well as the PR company who sent you it. That way they can see it and report back to their client with the link. I always do this when tweeting about my new posts and I find most PR companies have Twitter accounts. Much like the above, when you've posted about a product you were sent, its always nice to send the person who sent you it a quick email to make sure they've seen it. It can be hard to do this every single time if you're super busy but its important to try and let them know one way or another. If you're working with a brand, its important to be honest with your readers about this. I don't see anything wrong with bloggers reviewing samples they've been sent or writing a sponsored post but I do have a problem if it isn't disclosed. It makes the blogger appear dishonest and this then makes me question their post too - are they lying about liking a product just because it was free? Whenever I feature a gifted item in a post, I add a * next to it which is explained in my disclaimer. If a post is sponsored I'll add something to say so at the bottom of the post. For example, I was recently sent the Real Techniques Bold Metals brushes and I stated this in the post. I also still gave my complete honest opinion and said that I was disappointed with the brushes. Whether the product is free or not, its so important to be completely honest as I wouldn't want to influence my readers to purchase something I don't really like myself. Is there anything else you would add to this list? Love this post! I always make sure I ask a pr questions if I need to as well, so I can be well informed of a product and then there shouldn't be any issues once a post has been uploaded! Thank you for this, all these tips are very useful! It's nice to see a blogger who is honest and genuine when it comes to this subject. I think this blog post is so true. I think blogging is about expressing yourself, not to receive freebies. This is such a helpful post Kayleigh, thanks for the tips. It's great to hear from someone who knows how it is from both sides. I love reading posts like this! I'm new to blogging and have had a couple of people email me so I can't imagine how many you get! Great tips, and I have defiantly learnt the hard way to set out guidelines. Totally naivety on my front! Love this post! I'm not even close to having a big enough amount of followers to be send free samples nor do I ever planning on doing so. But it's still very interesting to read about how much thought should go int excepting these offers. Great tips! Personally I have never seen the harm in bloggers receiving freebies, they work hard, and the best part is they can let us know about future releases and wether they are worth looking into. I think you are defiantly right about bloggers sticking up for themselves in terms of payment for huge amounts of work, bands who play in the local pub for a few hours can get paid hundreds, why shouldn't a blogger when they are doing just as much, if not more work? Just because it's a hobby, doesn't mean it shouldn't be profitable! I've just started up my blog, thanks for this post!! These are all great tips; You've definitely got to set down some ground rules, both for yourself and for the company you're working for. Never accept anything just because they're offering, (if it isn't something that would interest you if you were paying with your own money then why bother) but you also need to set down rules for the company otherwise they will just walk all over you. When I first started out a company contacted me with so many requirements but said that they would send out products as payment. I wrote up the post including all their requirements, it turned out to be quite a time consuming post, and in return they sent out one mascara, that cost less than £5! I've always confirmed exactly what i'll be getting out of it since! I absolutely loved this post Kayleigh! I've been blogging for over two years now and I've never received a PR sample or even been approached for the company. Whilst this can be disheartening at times as I often wonder what I'm doing wrong, I still absolutely love blogging and I love it more and more every day. It's just not important and like you mentioned in one of the first points you made just a small % of blogging. I think that was such a great point to make! Well done on writing such an amazing post as I'm sure it'll help a lot of bloggers out there! Thank you so much for these tips!! Thank You a lot! It's very nice tips for a beginner like me! Your advice posts are always so good. I really enjoyed this one! I'm quite lucky to have someone who deals with brands for me now but I used to find it so baffling! This is a really good post, and although I'm quite new to all of this I'm sure this will be helpful one day! Really interesting post. As a reader rather than a fellow blogger, I get frustrated seeing blogs seem to only review PR samples. I can see why bloggers would do it, but it definitely makes me question the honesty now PR on blogs is so prominent. Plus it means reading the same content over and over. Criticism of samples usually sounds so hedged, like bloggers are scared to commit to a negative opinion and trying to remain PR-friendly. Even on a trustworthy blog like this, so many samples used that I can't help but be skeptical sometimes.